In Kaos Studios’ first-person shooter, Homefront, North Korea has united with South Korea under Kim Jong Un’s rule. An EMP blast wipes out communication in North America, preparing for Korea’s attack on the country. In the singleplayer experience, players will take on the role of one of the resistance fighters carrying out tasks to see to a successful resistance against the invading army in the year 2027. 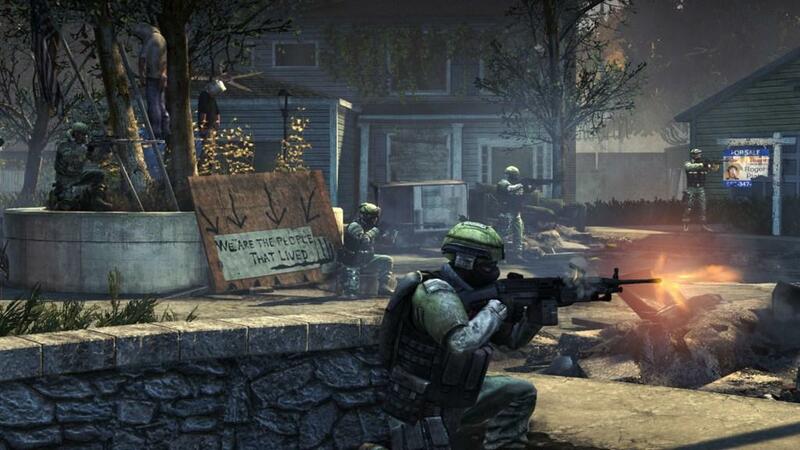 The multiplayer aspect of Homefront, however, involves an entirely different gameplay mechanism. For a game to have a multiplayer feature means that it will likely outlive its typical shelf life. This particularly rings true for a first-person shooter, so it is without surprise that Homefront is one such game. In a sense, then, the multiplayer review is just as, if not more, important than the singleplayer (depending on the kind of gamer you are). Though I don’t personally require a multiplayer experience to feel satisfied with a game, it oftentimes lengthens my enjoyment with it. Homefront’s multiplayer is quite like the first-person shooters that have come to pass. 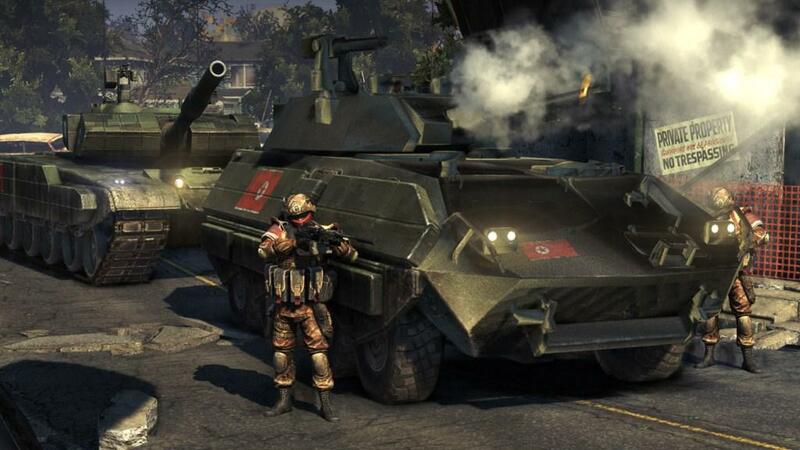 The closest similarity would be the most recent Battlefield, Battlefield: Bad Company 2. 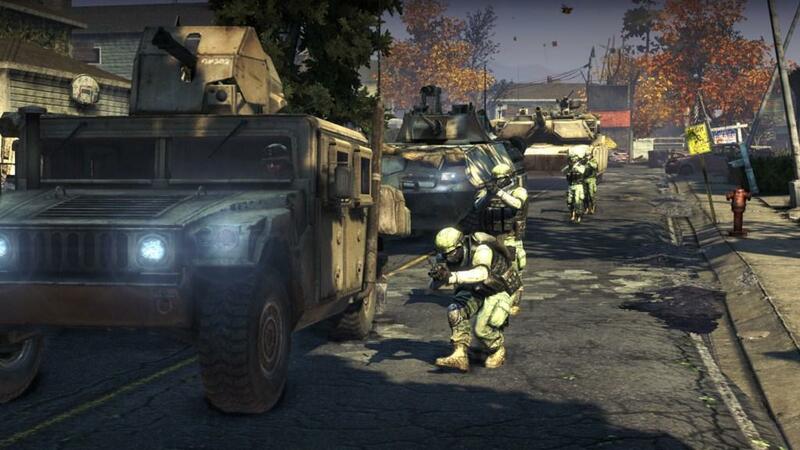 Centered on large-scale warfare, multiplayer goes up to 32 players per round, complete with a wide range of vehicles and weapons in which to confront said warfare. 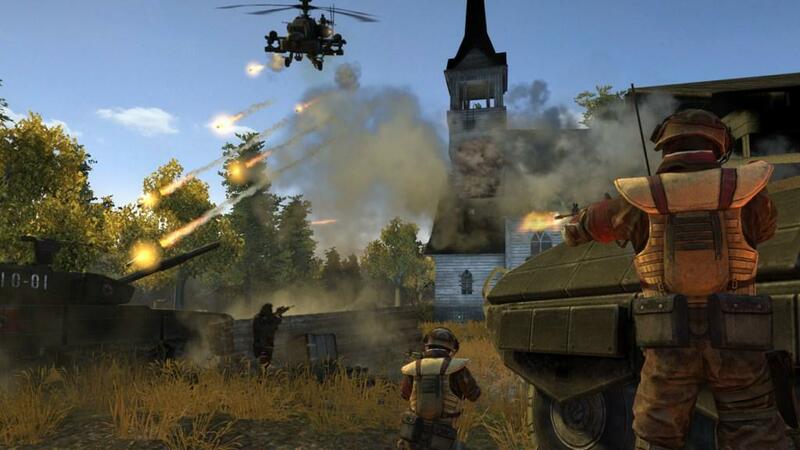 As the Multiplayer Designer from Kaos explained, players can take on the roles of infantry, ground vehicles, aircrafts, drones and airstrikes. At THQ’s hosting, my fellow journalists and I played rounds of multiplayer in two different maps. There was only one mode currently available, Ground Control, which involves securing the various bases spread across the map. The first map we embarked on was termed “Cul-de-sac” and was a tightly packed area that we had to consistently defend, and in which we were told was perfect for infantry and drone play due to its size. We were also told that the rounds of multiplayer we played would “escalate” as we played through them due to the currency system in place. As you capture and defend areas, making kills, you rack up points to use as you see fit. Instead of spending these points outside of the game, however, you can spend them mid-action, mid-game. So if there is a particularly bothersome helicopter hot on your trail, you can quickly purchase a rocket launcher to get it out of the air and off your back. Making these decisions in-game allows you to respond accurately to the escalating situation as people use their Battle Points for fiendish purposes. While on the load-out screen waiting to spawn you can choose your equipment based on style of fighting (sniping versus assault rifles, etc.). However, provided you have been succeeding in your previous lives, you will have earned enough battle points to spend on vehicles and the like. 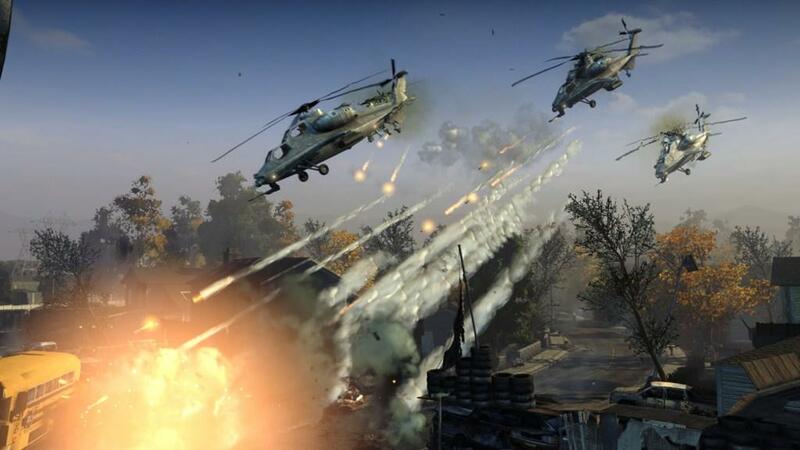 Hopping into an Apache or a tank definitely does escalate the situation, and you will notice that others have begun to get enough points to parry you in similar vehicles or drones. While the beginning of a multiplayer round might find you sniping from an opportune position, or throwing grenades or rockets at the opposing team, you’ll soon be controlling a large roster of vehicles. Remote controlled vehicles tackle both from the ground and air, and rocket launchers are almost always easily accessible being the least costly of them. Soon you will be avoiding being run over by tanks while buzzing choppers in the air attempt to search and destroy you. Battle Points aren’t the only feature creating a constantly changing gameplay experience. As your team either captures or loses the main objectives on the map, you might be forced to retreat (or force the opposing team to retreat) thereby endeavoring towards a previously inaccessible portion of the map complete with new on-map objectives. It was also mentioned in passing that an unlock system will get you more perks for in-game use, but Kaos would not mention anything beyond the fact that it will be a key part of progression in the game. 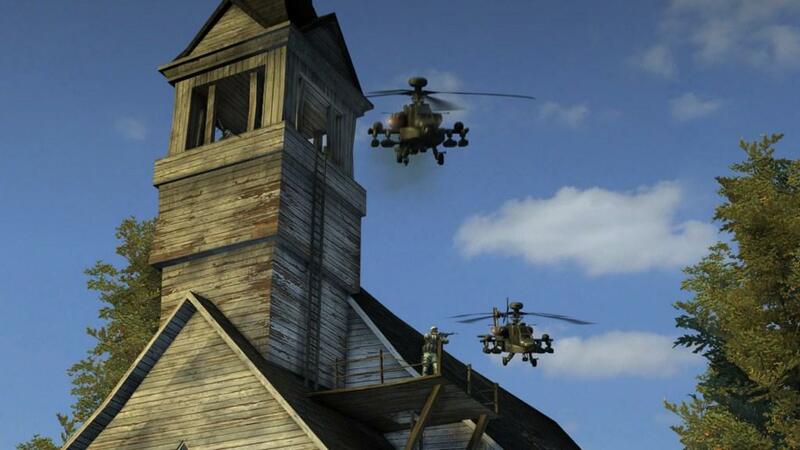 The next map on our agenda, “Farm,” was even more so fit for this style of gameplay. 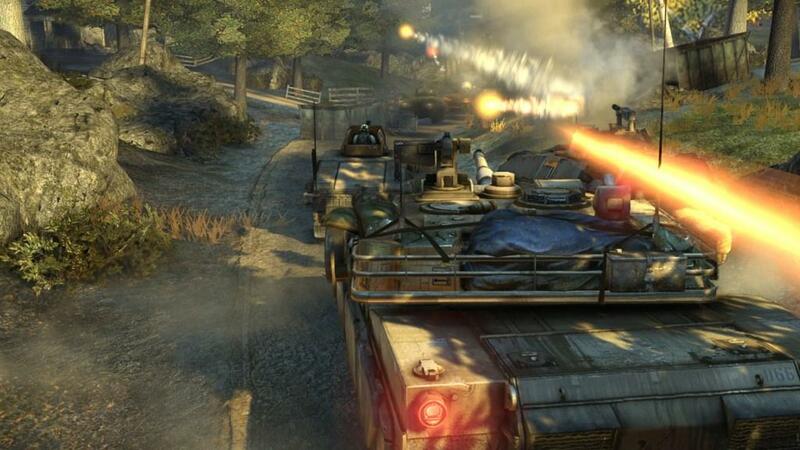 Being in both a larger and more open range, the map is easy for tanks and Apaches to take on enemies. Everyone is soon either in a vehicle or guarding one, sniping from behind its protection (or perhaps accidentally getting run over by one). When the objective shifts and one team is forced to retreat, the barn and church scenery changes for an industrial one with warehouses in its stead, changing the pace of that single round of multiplayer yet again. The idea of balancing such powerful weaponry and vehicles in fairly small areas interested me, because it is easy to see how controlling an Apache might ruin the fun for everyone else. Fortunately, as explained by the Creative Director on the game, they experimented with limiting controls to fit both realism and a constraint of the player’s powers while using it. These experience culminate in a lag-free game environment made possible by dedicated servers (for both PC and console). 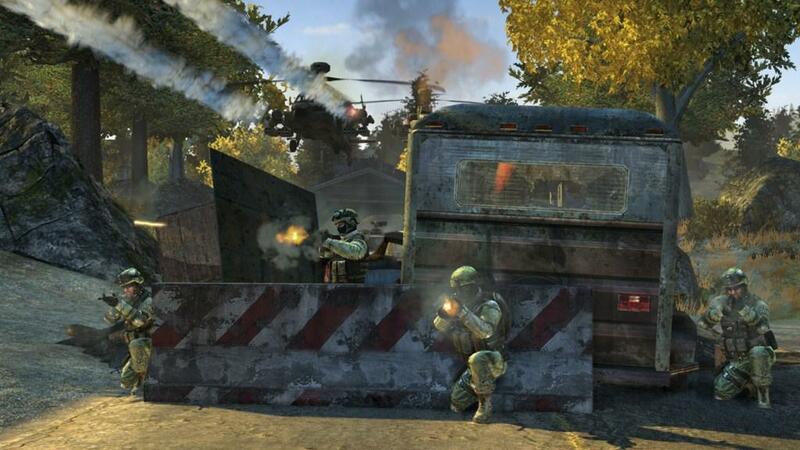 Kaos explained that with such large-scale warfare, it was not feasible without dedicated servers to maintain the amount of vehicles and action without otherwise succumbing to lag. Most first-person shooter multiplayers are fairly hectic. People are constantly respawning and picking each other’s weapons up to continue their kill/death ratio. 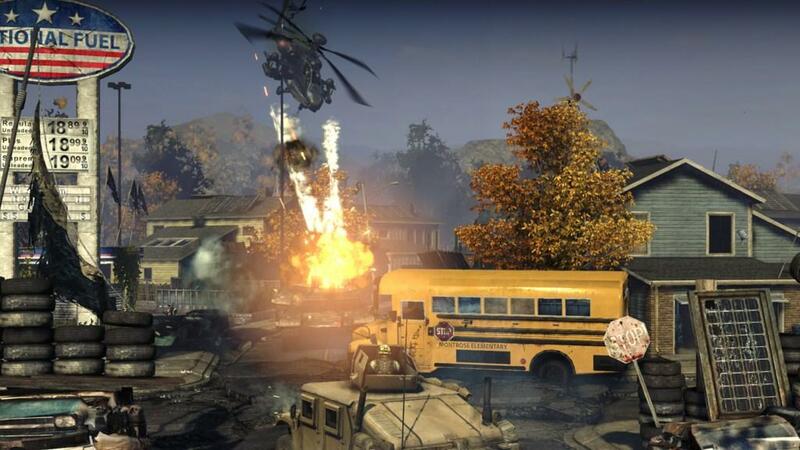 Homefront’s multiplayer, however, has the added challenge and fun of a large roster of vehicles to experiment with. Of course, we didn’t get the full spectrum at this multiplayer event, so it is likely that the rest of the vehicles will be just as entertaining, with specific advantages and disadvantages to each. 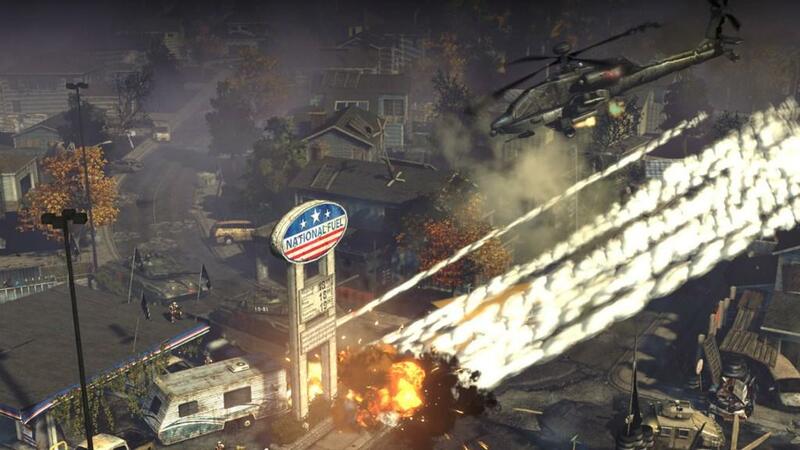 Homefront will release on February 22, 2011. We’d like to thank THQ and Kaos for organizing the event,providing transportation and lodging, and showing us the multiplayer portion of the game.